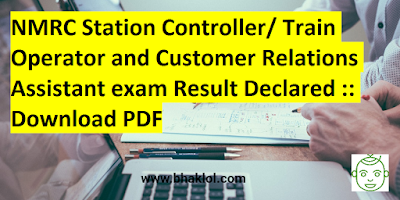 Noida Metro Rail Corporation Limited,NMRC has released result of Station Controller/ Train Operator and Customer Relations Assistant examination. Below, link of List of shortlisted candidates are given. 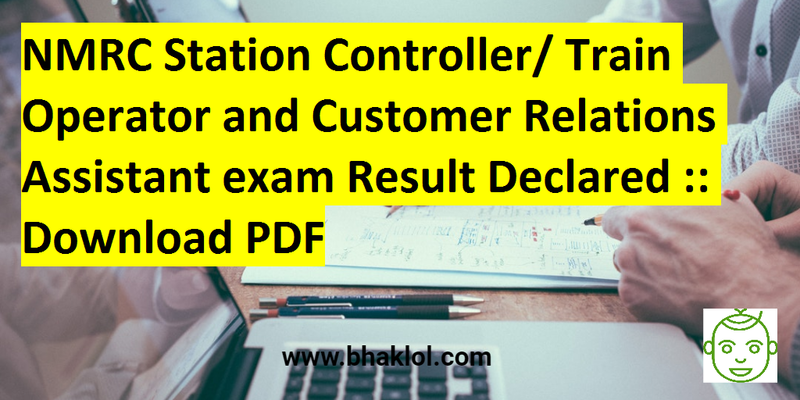 There are total 193 candidates including reserved communities are selected for the post of Station Controller/ Train Operator and total 65 candidates including reserved communities are selected for the post of Customer Relations Assistant. All the Shortlisted candidates are called for document verification and medical examination.